How do I know if my loved one needs assisted living? If you are caring for or worrying about a loved one, take a look at the pages entitled: Is Your Loved One Ready? or Making a Decision on this site. 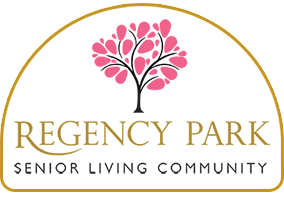 Or contact Regency Park for a confidential in-home assessment of your loved one’s needs. Will my loved one need to go to a nursing home at some point? Many residents are able to stay in assisted living forever. Unfortunately, some residents may develop needs that, by necessity (and in some cases, regulation) require them to go to a skilled level of care. When that happens, the Regency Park staff will assist the resident and family in making the transition to the appropriate facility. Does Medicare or Medicaid cover my loved one’s stay in assisted living? Medicare does not pay for assisted living. Medicare covers hospitalization, physician charges and other medical expenses as well as some nursing home costs for a defined period of time. In some states, Medicaid pays a portion of the daily rate in assisted living for some individuals. Their eligibility is determined by the state, not the assisted living residence. Most assisted living is paid for privately. Does my loved one have to change physicians at Regency Park? No. Our residents are encouraged to remain with their current physicians to ensure continuity of care. Physicians are welcome to visit their patients at our residences, but if they are unable to, we are pleased to schedule your loved one’s appointment and assist to schedule transportation to their physician’s office. How often do the rates increase? How much can rates increase? At Regency Park, we review our rates on an annual basis. If there is a rate increase, we notify our residents at least 30 days prior to the effective date. Many factors determine the percent increase, including increases in the cost of delivering care, insurance and other cost factors beyond our control. Can Regency Park accommodate special diets, such as low salt or diabetic diets? Yes. The Regency Park staff is experienced in providing for special dietary needs of the elderly, and has a variety of diet choices that are both nutritious and delicious. A registered dietician is available to assess the needs of our residents and to ensure that physician diet orders are carried out properly. Are there any activities for my loved one? What about religious observances? At Regency Park, we believe in helping our residents remain active and engaged. We provide a full calendar of in-home and outside activities. We attempt to honor all faiths by paying special attention to holidays, and to assist in scheduling transportation to local churches and synagogues, as well as holding services within the residence for all to attend. What are the visiting hours? Can I take my loved one away for a weekend? There are no set hours for visiting. Guests are always welcome. Residents are encouraged to accompany families and friends on trips or outings, when possible. What if my loved one is forgetful about eating or taking medication? At Regency Park, our job is to insure that our residents get their meals and medications in a timely manner. Many residents need gentle reminders, hands on care and escorting to meals and activities. If your question was not answered here, please contact us.